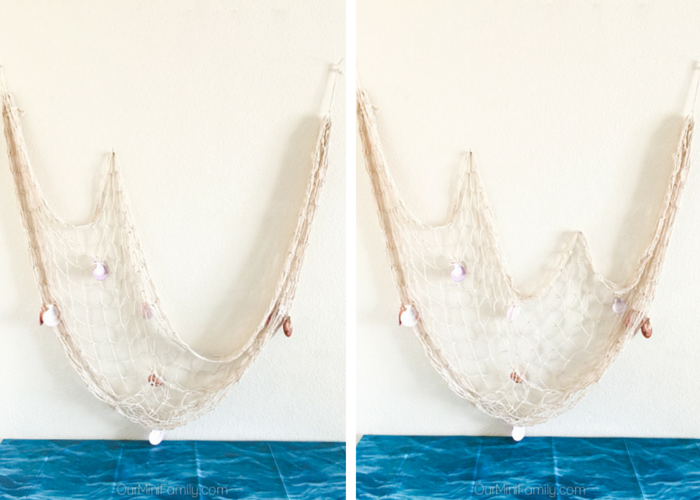 You don't have to leave the house to bring a little bit of tropical paradise into your life! Most days when it's oppressively hot outside, I try to imagine sitting on the beach next to the ocean. I can almost smell the salty air and feel the ocean breeze. I would love to be able to travel to an island in the middle of nowhere and relax on the beach while eating some grilled seafood, but the fact of the matter is I am stuck in my air conditioning here in Phoenix. 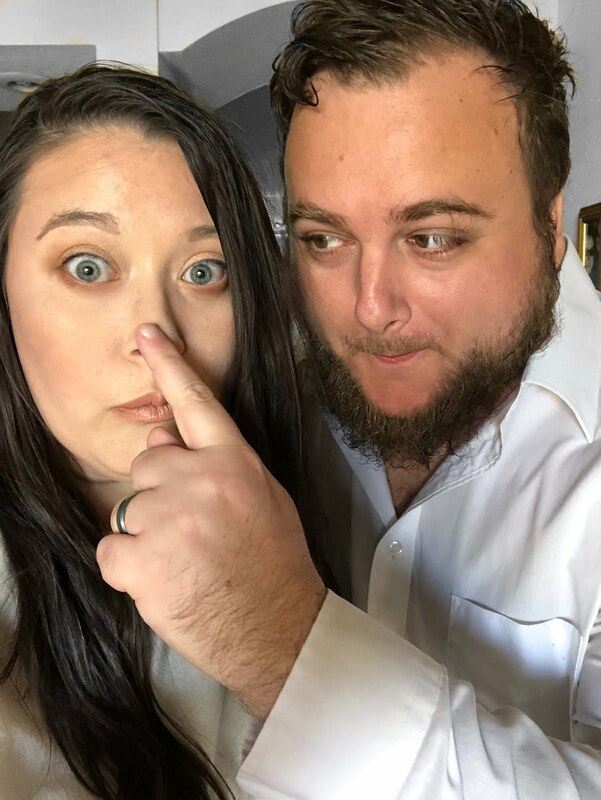 With the Arizona summer sun on our backs and feeling beat down from the heat of the three digit temperature days, we make our way inside the house to take refuge in the cool air conditioning in the summertime. But just because we are staying inside does not mean we can't have some summer fun! 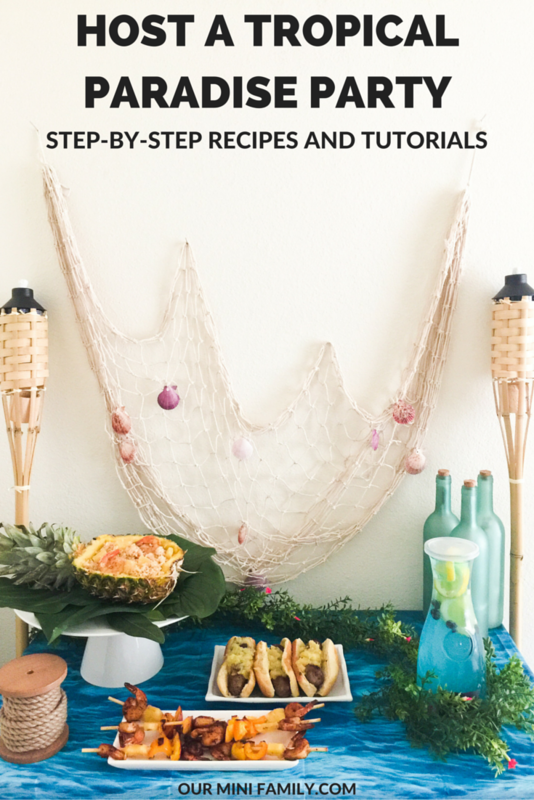 Today, I'm sharing a full party spread tutorial on how to host a tropical paradise party indoors! 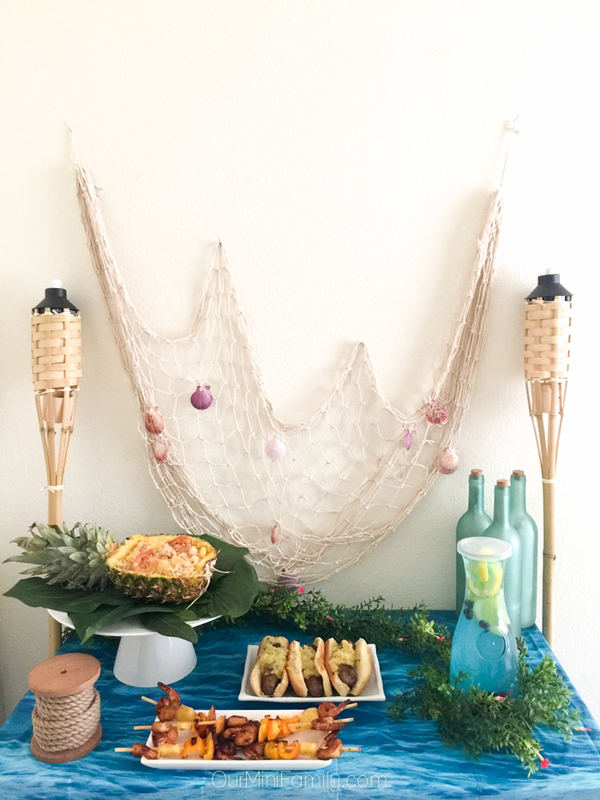 When we decided we wanted to throw our party inside the house, I knew I wanted to bring together different decorating elements to give the party table some life so that it actually sort of felt tropical. My favorite thing about the idea of tropical paradise is where the ocean meets land--it's so beautiful and totally underrated. I wanted to try to capture where the beach and the ocean become one: on shore. 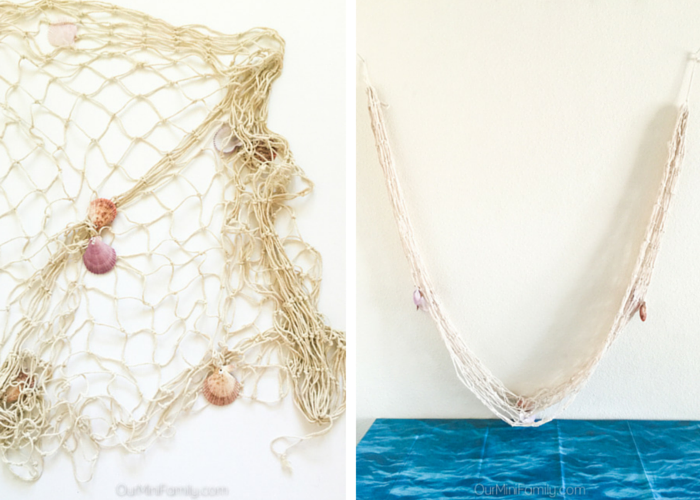 To create your own fishing net wall decoration you will need: natural fishing net, assorted sea shells, white sewing thread, a needle, nails, and a hammer (or if you prefer to not nail it into the wall, any other appropriate wall adhesive may work). Start by trimming the fishing net to the size that you want it, and knot each end of the net into loops so that you can hang them. 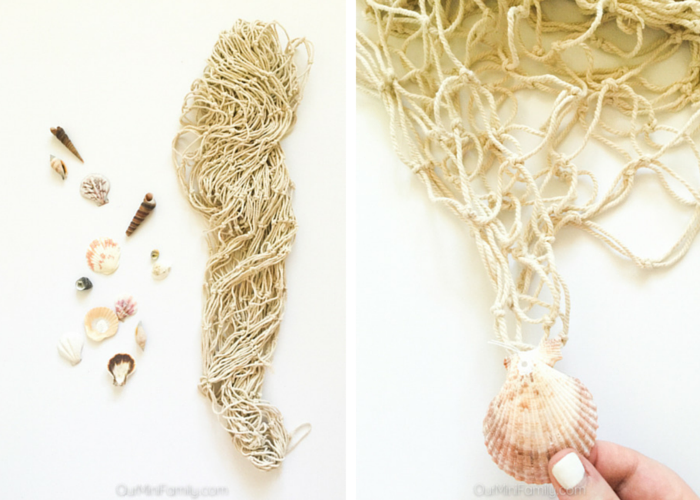 Using a needle and white thread, attach as many or as few sea shells as you want to your net all over (if your sea shells do not already have a hole in them you may make a very small hole and that should be fine). Place two nails on each side of the table as far up as you want the net to start (I measured 4 feet). Hang each side of the net onto the nails above the table. P.S. 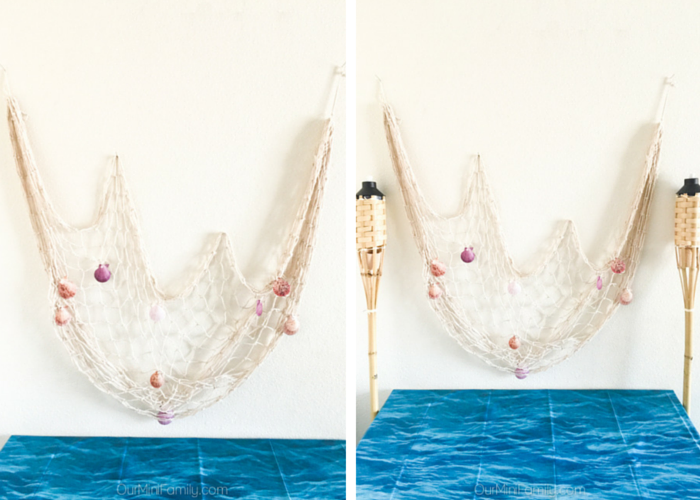 doesn't this ocean waves tablecloth pair perfectly with this fishing net? Grab another nail and secure it into the wall about 1/4 of the way between where you put the first nail and the table, and then hang another piece of the net on top of that nail. Next, grab another nail and place that about 1/2 of the way between the top of the net and the table (and hang another section of net onto that nail). Make sure to spin your sea shells around so that they are showing on the front, and then you are done! One final touch you can make is to add two bamboo tiki torches on each side of the table! 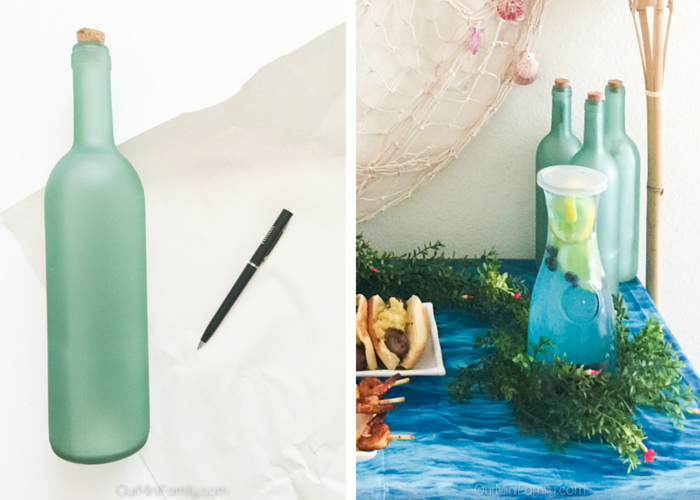 A spool of rope, flowering sea kelp, and sea glass bottles are great nautical table accents! Heat the oil in a large stovetop skillet at medium heat. Pour in the cooked white rice, shrimp, and pineapple. Stir and fluff the rice so that it does not harden or burn until the rice has fried in the oil. 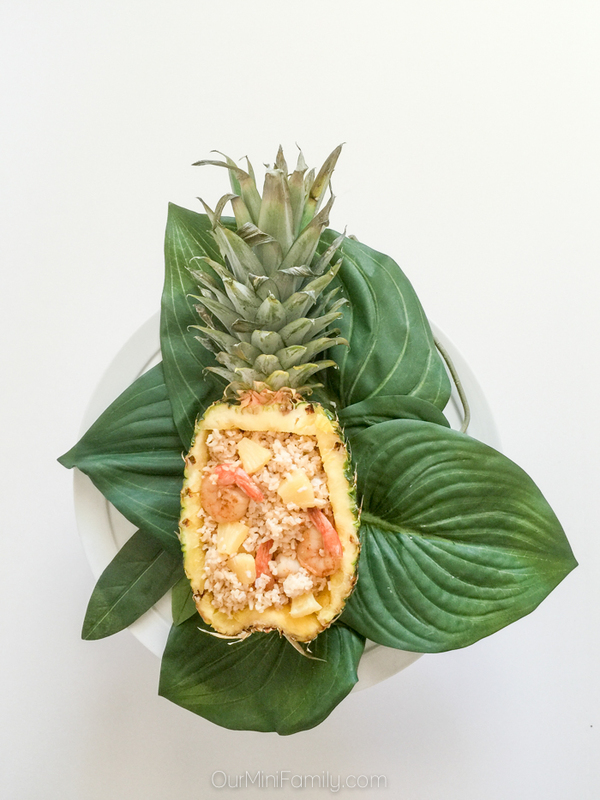 Serve immediately--for a fun spin, carve out a half of a pineapple and serve the rice inside of it. Your guests will love it! Heat a large, non-stick stovetop skillet at medium-high heat. Chop up pineapple, mangoes, and bell peppers into skewer sized pieces (e.g. 1-inch pieces). 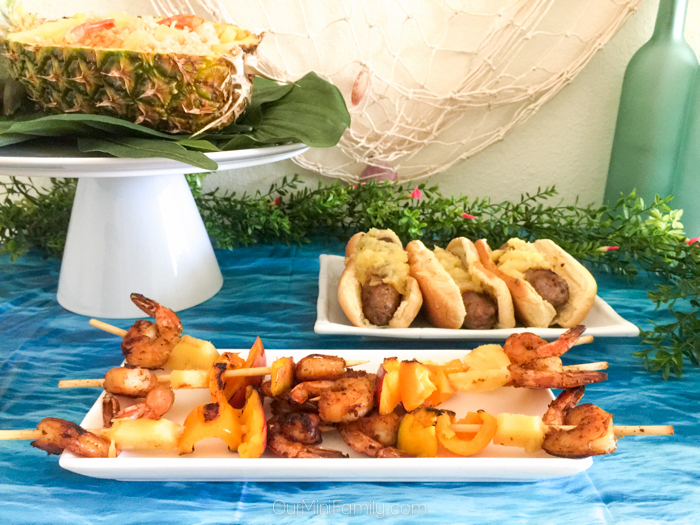 Slide the shrimp and the chopped fruits and vegetables onto your skewers. Place the kabobs into the heated skillet and flip them every 2-3 minutes until they are heated up and/or cooked to your liking. 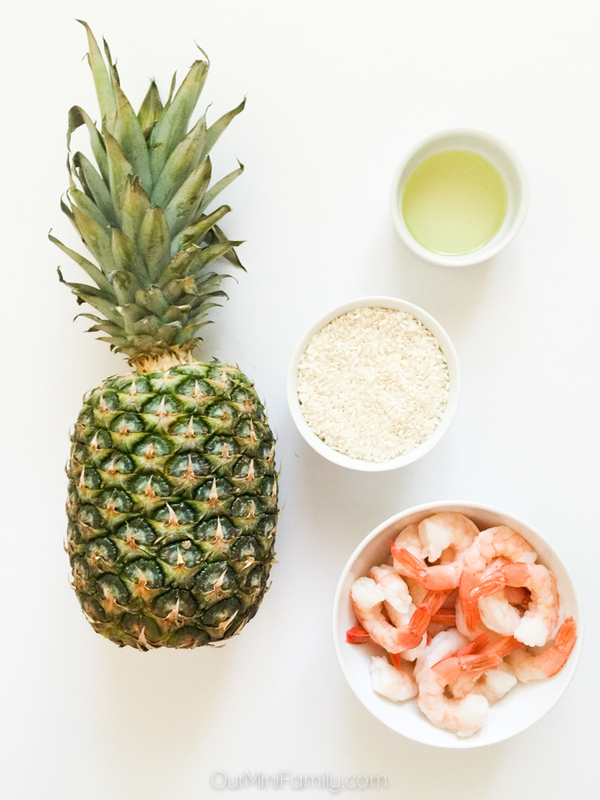 Chances are you have some pineapple left over after preparing your other recipes--we sure did! 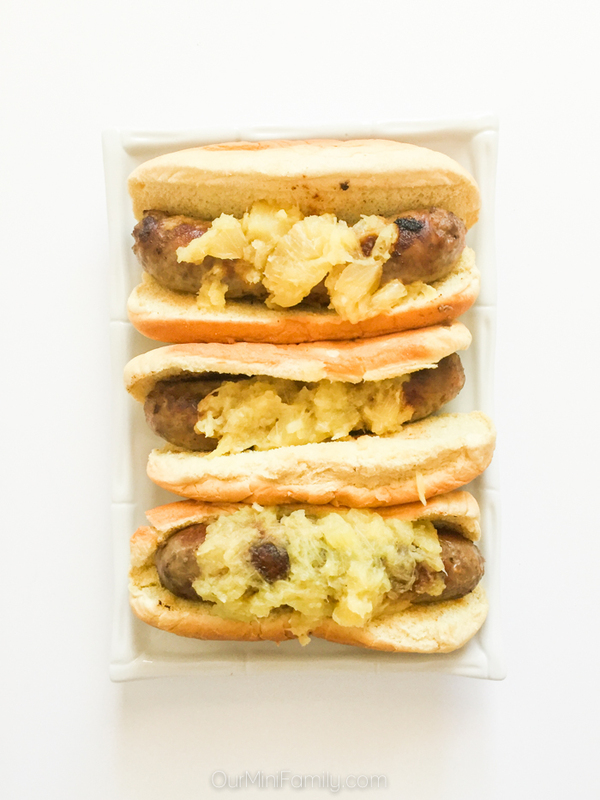 We made this very simple pineapple relish to bring in our tropical theme with some bratwurst. To make pineapple relish: Fill a food processor/blender with pineapple. 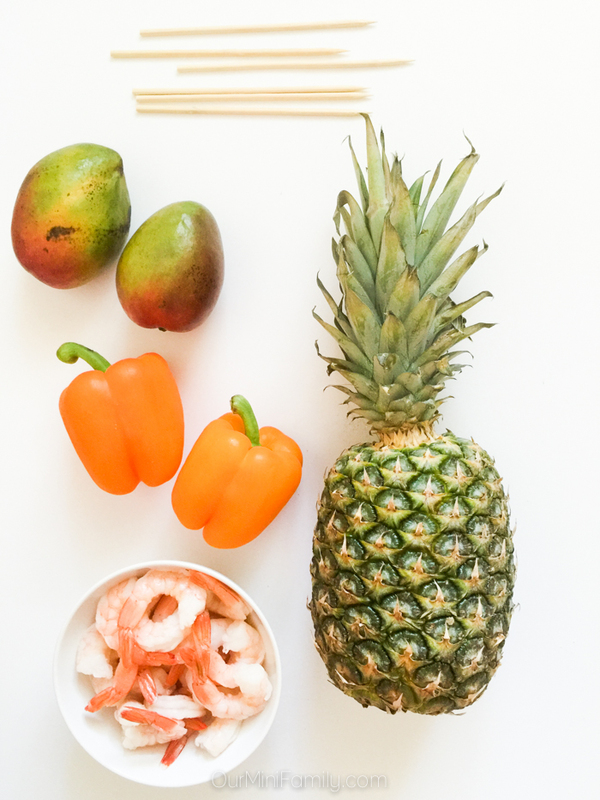 Turn the machine on to a chop/salsa setting, and watch as your leftover pineapple turns into a sweet and tart relish topping perfect for any proteins you're serving at your tropical paradise party! 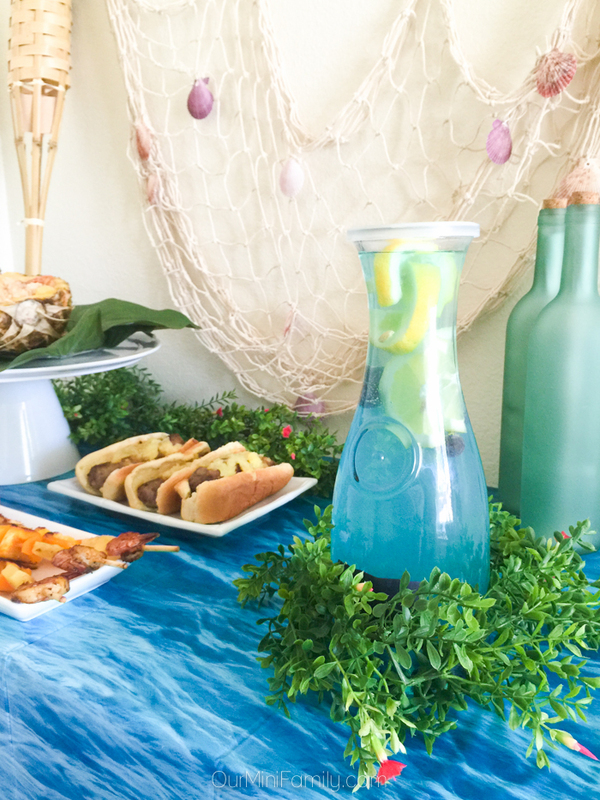 This lemonade cooler is so refreshing and makes a beautiful addition to the tropical paradise party table! To make our blueberry lemonade cooler we combined a quart of lemonade with 3/4 cup of blueberries, a few lemon slices, and about 2 tablespoons of natural food coloring. We like to send something home with our guests whenever we host a party--whether it's a take-out box filled with leftover food, a clever take-home survival kit, or a unique thank you note, the possibilities are endless! For our tropical paradise party, we thought it would be fun to send everyone home with a hand-written message thanking our guests for coming. 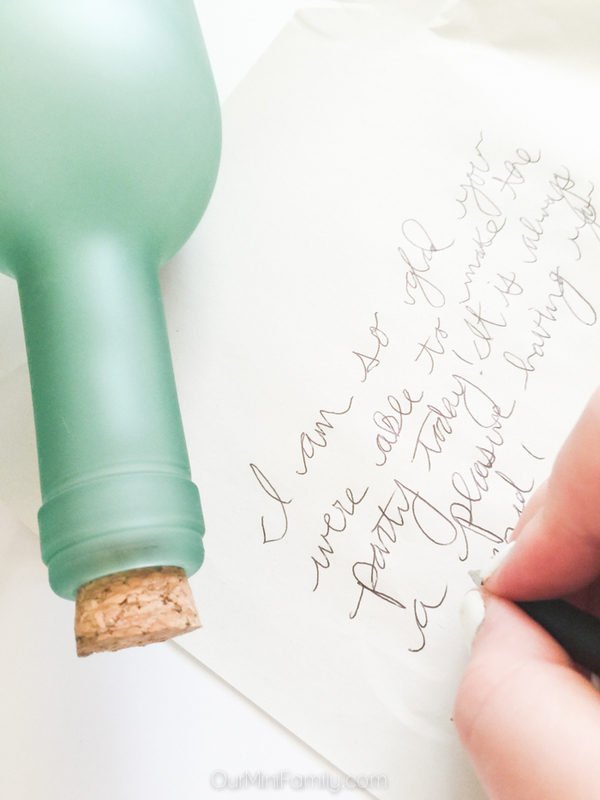 To bring the theme into the note, I wrote up a message for everyone and placed their notes inside of sea glass bottles (pro tip: mark the bottom of the bottles with who the bottle is for with chalk). Hosting a party and putting together handmade decorations is one of my favorite parts of planning a get-together. 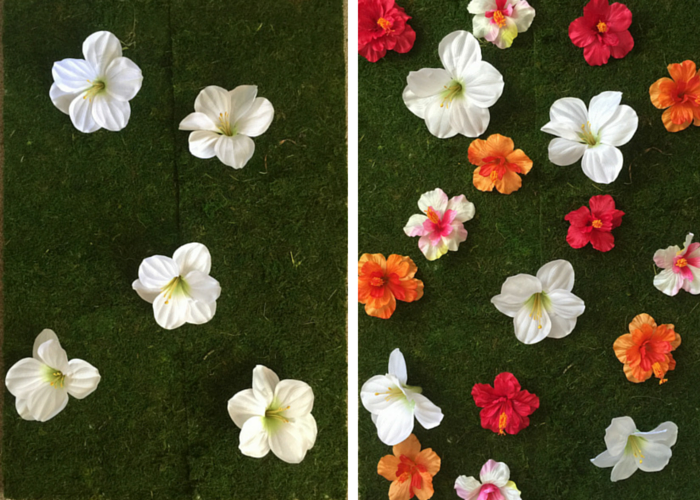 When I started gathering my ideas for our indoor, tropical paradise party I knew I wanted to put together a fun photo booth-type backdrop so people could use it in their selfies. This backdrop features a mixed assortment of faux-wild flowers and moss. 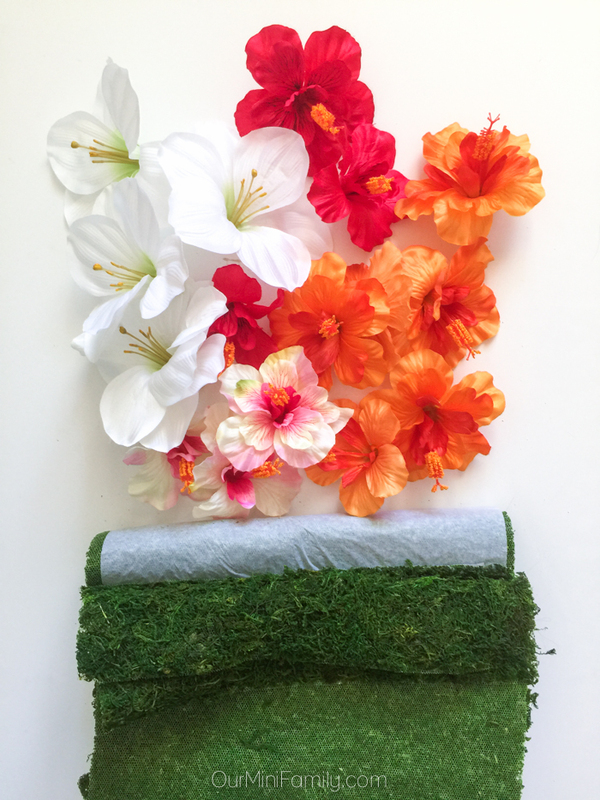 To put together our flower backdrop I used: an extra large tri-fold whiteboard, sheets of moss, assorted faux-flowers, scissors, and a hot glue gun. First, I used the scissors to trim the flowers from the bunches they were sold in. Then, I glued the sheets of moss on top of the whiteboard. Finally, I arranged all of the flowers how I wanted and then glued them onto the moss using my hot glue gun (pro tip: lay the white board down on a flat surface when you're gluing everything and once you are done gluing give it an hour before you stand the backdrop up--this should give the glue enough time to harden so that the flowers do not fall off). 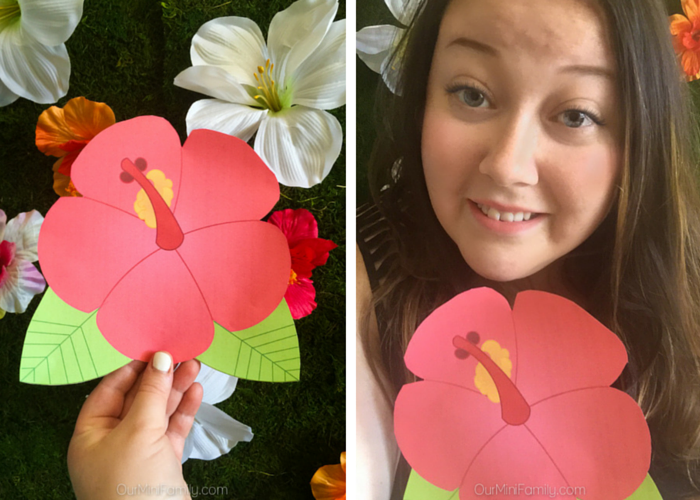 Once you have your tropical photo booth backdrop made, you'll want to start printing out some fun props for selfies! 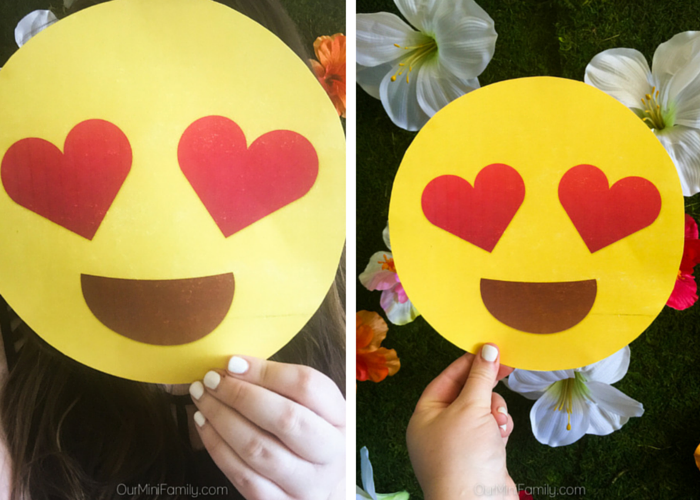 I made two fun emoji-inspired printables for our party--the heart eyes emoji and the hibiscus flower emoji. 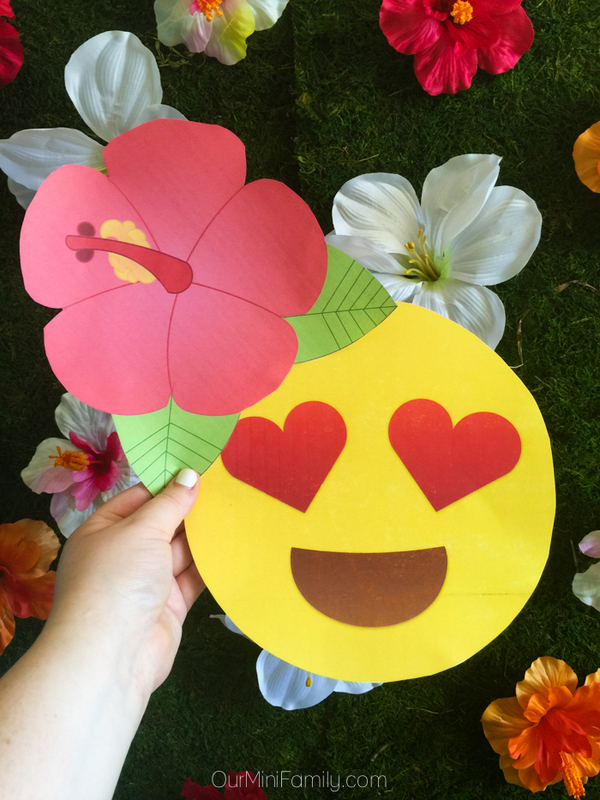 You can download the heart eyes emoji printable here, and then download the hibiscus flower emoji printable here! Enjoy! 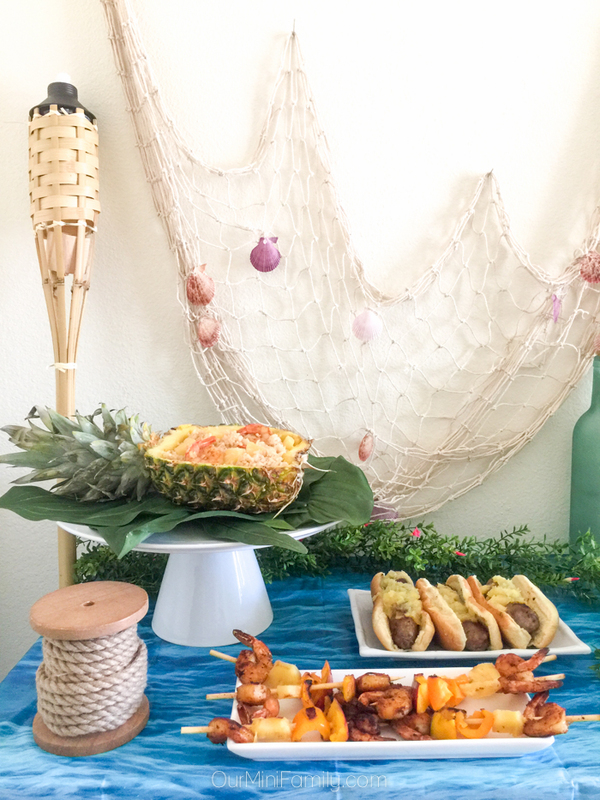 The entire room smelled so amazing the day of our tropical paradise party! 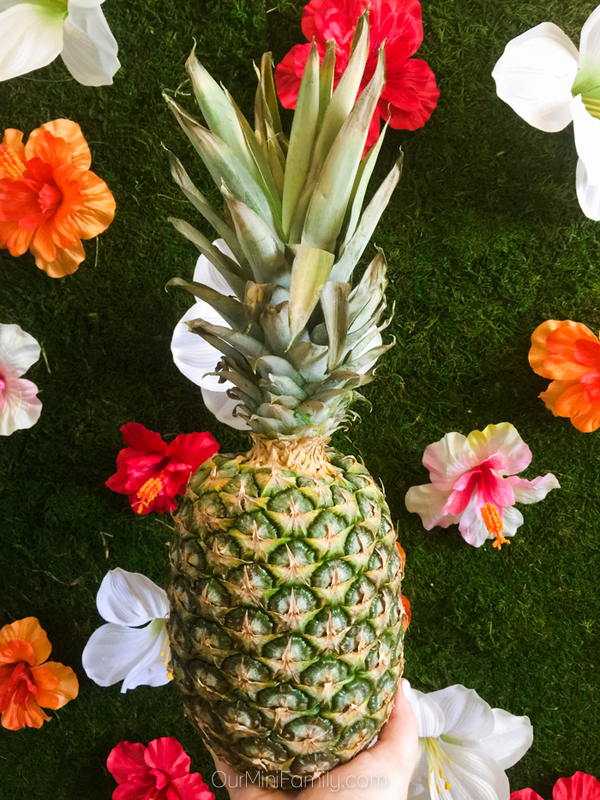 There's something extraordinary about how certain scents and aromas can transport you to a place or a memory--whenever I smell pineapples it reminds me of my island getaway to St. Maarten with my mom and our family. When I learned that all® Fresh Tropical Mist™ was going to be available at my local Safeway, I went down the street to pick some up and I grabbed all of the other recipe supplies I needed while I was there. 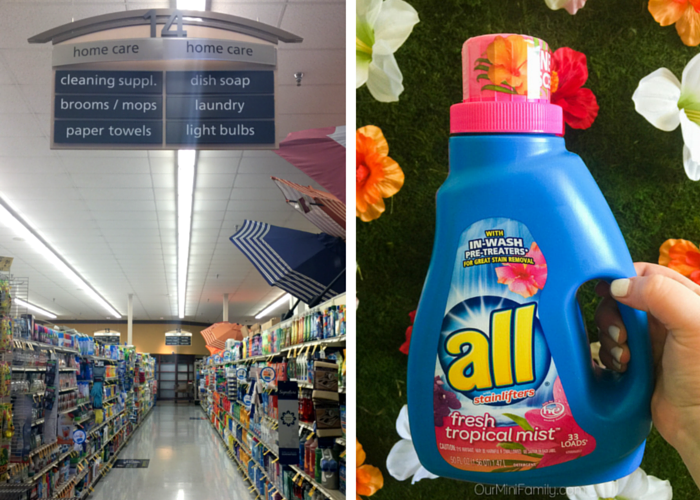 Just like our house the day of the party, the all® Fresh Tropical Mist™ has a really soothing tropical aroma to it--click here to download a $1 off coupon! 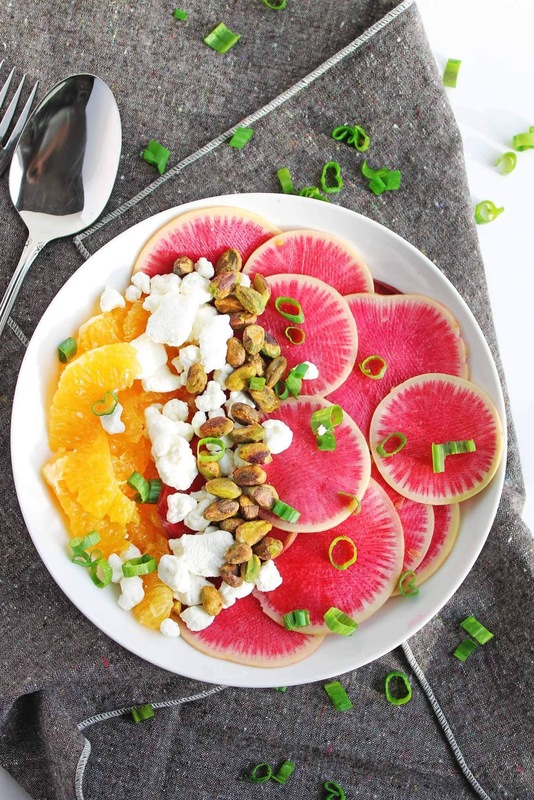 Did you enjoy any of these tropical-inspired recipes or tutorials? 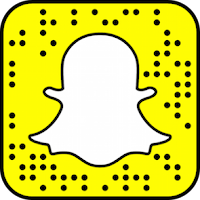 Share it with a friend! and click Where to Buy! Thank you! 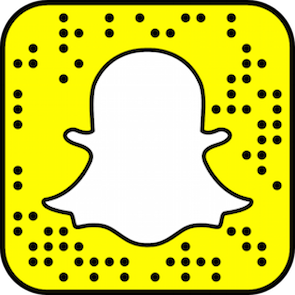 I hope you do--it's a lot of fun! Wow - you seriously have every detail covered for this party! Loving the tropical theme and your photos make it so easy to recreate this! You have thought of everything but one thing...where's my invite? Seriously, I give and go to a lot of parties. This one rocks! I love the food, the message in a bottle and the fish net. Awesome. OMG!!! I love I love. It's beautiful and is perfect for us in the southern hemisphere who are in the winter!!! Def noted :) Thank you! What a fun party! I love pineapple. I love how you can celebrate the tropics indoors no matter what the weather is like outside. Most definitely!! Maybe I'll have to throw one of these parties in the winter when it's cold outside! This is a great idea. I might do this. I'm in need of something tropical right now. We use All Free Clear, have never tried that one before. I love pineapple so much. You inspired me to try it with shrimp next time. The decor to the party is cute too....love the crafts. This all looks so amazing and what a fun theme! I absolutely adore the message in a bottle favor! I am so glad you liked the message in a bottle favor!! Yes!! The ocean tablecloth was such a great find! What a fun way to bring in Summer! Honestly, I hate the heat. This would be a fun way of feeling the tropics without the nasty humidity! See, I love the heat! But I am not much of a fan for humidity at all! This looks like such a fun idea! I love all the decorations. 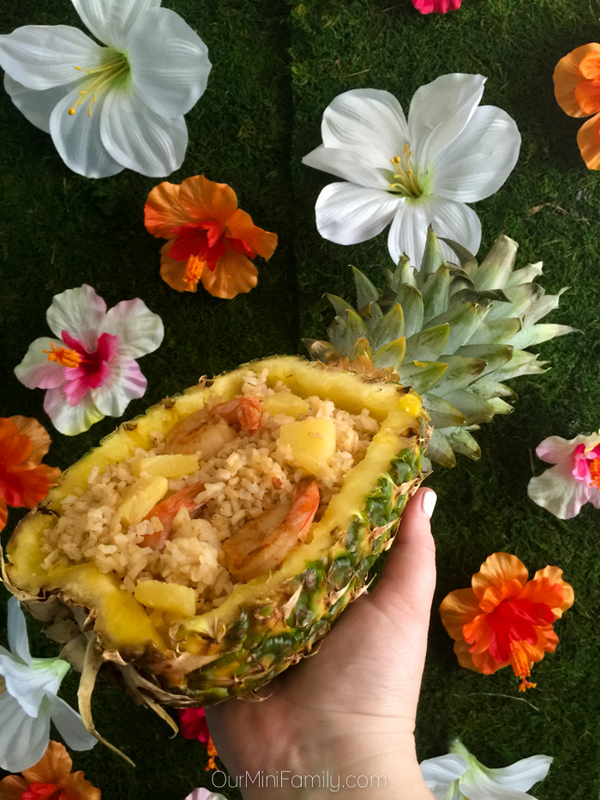 And that shrimp fried rice in the pineapple?! That is such a great idea! Omg just love this!!! What a fun party setup. And those pineapple bowls... Pretty sweet! I think that the waves tablecloth is the coolest-looking thing. I've always wanted to have a luau-type of party with my family. Having it indoors is a plus - no mosquitoes! Totally!! I thought that the ocean waves tablecloth was perfect--glad you liked it! And yes no mosquitos is the best! This all looks amazing and fun although if I do something like this I would have to skip the seafood part since I am allergic but I love the theme!!! Oh yeah you can most definitely skip the seafood element! Glad you liked the post, Leslie! That sounds like an amazing party idea. Would love to see if I can tackle this! The presentation here is so beautiful! You can really see all of the effort you put in. I never would have thought to put the net together like that, it really makes the whole setup. That sounds like one delicious party! I love the idea of being able to host indoors too, it would work so much better for my house.